ELIN HILDERBRAND grew up in Collegeville, Pennsylvania, and is a graduate of the Johns Hopkins University and the University of Iowa Writers' Workshop, where she was a teaching/writing fellow. Her short fiction has appeared in Seventeen, The Massachusetts Review, and The Colorado Review. She lives with her husband, Chip Cunningham, and their two sons in Nantucket, Massachusetts. 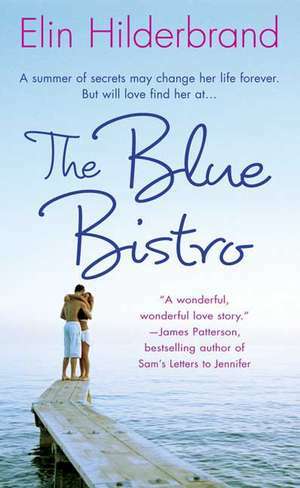 The Blue Bistro is her fourth novel. "A wonderfully poignant behind-the-scenes journey into the world of high-end restaurants, island life, and the inner workings of the human heart. A great summer story."